For the fourth time, Vashu Bhagnani of Pooja Entertainment has claimed his rights over a former KriArj film. The legal web weaved by KriArj Entertainment by signing multiple agreements with distributors and producers has now led to another entangle in case of Fanney Khan. After the release of the poster of the Anil Kapoor, Aishwarya Rai Bachchan starrer, Vashu Bhagnani has expressed his disappointment over not receiving credits on the poster. 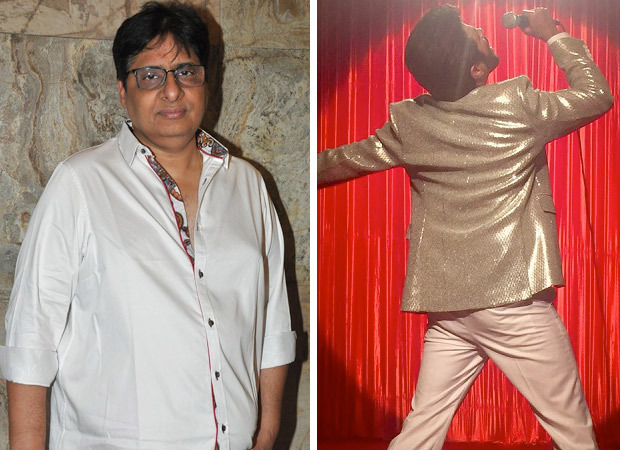 Vashu Bhagnani, in recent reports, has claimed that as per the deal he signed with KriArj Entertainment, he owns the distribution rights of Fanney Khan. Therefore, the producer has sent a legal notice to the co-producers of the film Bhushan Kumar, Rakeysh Omprakash Mehra and also Prernaa Arora wherein he has demanded his rights for the film and also credits as a co-producer. The statement also asserts that Vashu Bhagnani holds the distribution, exhibition and exploitation of commercial and non-commercial theatrical rights of Fanney Khan in all India territories. If that wasn’t all, the statement also alleged that the other producers must seek approval from Vashu Bhagnani before planning the release of the film. It also mentioned that T-Series and KriArj have already been informed about it. Adding that he also possess rights of the Shahid Kapoor, Shraddha Kapoor starrer Batti Gul Meter Chalu, Vashu Bhagnani alleged that he also has documents that will support his claim. He also maintained that these documents have already been submitted in court three months ago when he was fighting the case of Parmanu – The Story of Pokhran. Speaking on his investments, Vashu also confessed that he has invested an amount of Rs. 6 crores in Batti Gul Meter Chalu and about Rs. 8 crores in Fanney Khan. He added that since Prernaa was facing lack of funds he had lent the money to her and also because of the contract he signed with her company. He also revealed in these reports that Bhushan Kumar and Rakeysh Omprakash Mehra are aware of the situation and his rights. He added that Rakeysh had called him to express his happiness of having Vashu as one of the producers. Vashu also spoke about a certain meeting that was held amongst the other producers of Fanney Khan, wherein there was a discussion about giving the rights to Anil Thadani. But then, Prernaa had allegedly then confessed that she had given the rights to Vashu already. Vashu’s lawyer Vibhav Krishnan has claimed in reports that Bhushan Kumar holds no rights of the film and that the dispute is ongoing in Delhi High Court regarding the matter. He also alleged that some out of the court modalities are being worked out between Bhushan Kumar and Prernaa Arora. However, his client Vashu will be challenging the takeover process and will demand for a foreign audit and other formalities in the matter. Clearing the air on the same, T-Series has mentioned that they were granted the rights for these films under a co-production agreement with KriArj, long before KriArj got into any agreement with Vashu Bhagnani. They also have asserted that they have no knowledge of such a deal and has categorically disputed its validity. T-Series maintained its claims of having valid and superior rights in these films and is prepared to take these claims on in the courts.